It’s always fun to meet old friends, even for a very short time like today! 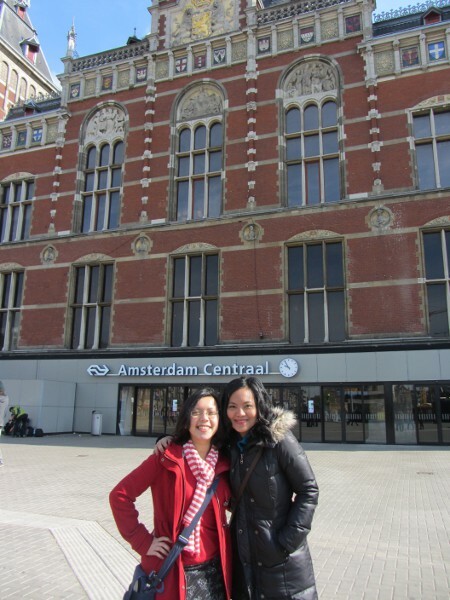 This morning, I went to Amsterdam for a glimpse an hour with my undergrad friend Andrea. 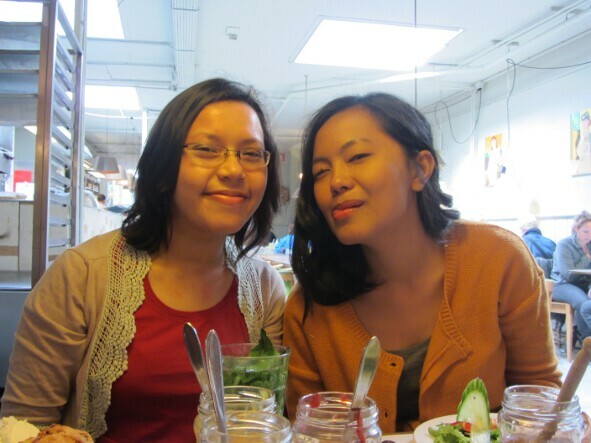 We were together in UGM‘s Communication Studies a decade ago (damn! how time flies without manners! ), as well as in the campus news bulletin Bulaksumur Pos. After our graduation, we both went to the vicious, cruel capital Jakarta to work in mass media — she became a reporter in a news television while I chose the print media. 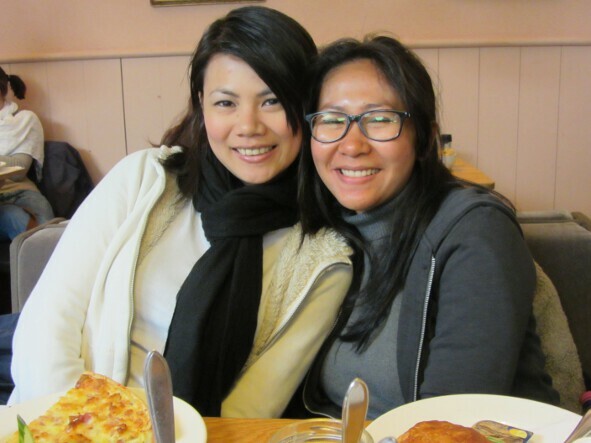 Sometimes we met while we were working, but our last meeting was more than 1,5 year ago when she left Indonesia for grad school in Ilmenau, Germany. I wanted to see her when I went to Berlin but apparently the train ticket to meet her was steep and my time was very limited. So I was happy when she told me she was coming to Amsterdam for three days of vacation with her two friends, Julie and Lia. 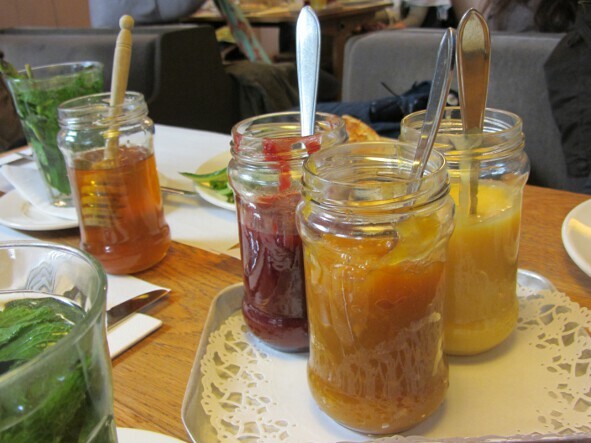 We had 45 minutes of breakfast in De Bakkerswinkel. 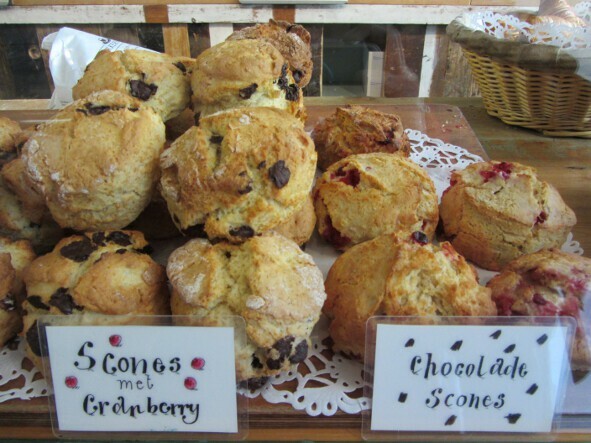 Wonderful scones with delicious homemade jams. The price was not that student-friendly, though. 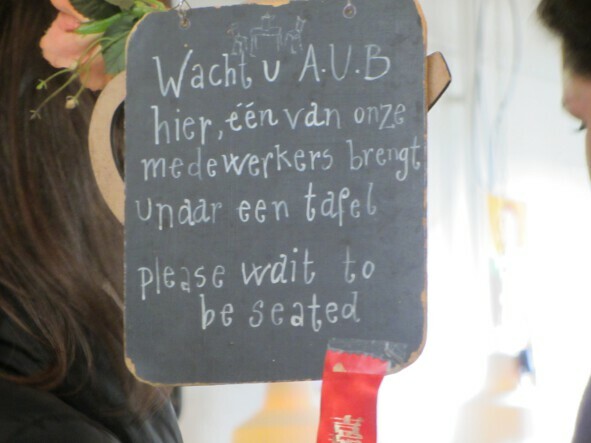 Too bad I could only meet her for a short time since I already had another appointment with friends in The Hague. But it was really nice to catch up some stories (including one about a friend who’s recently married, and another friend who’s coming for a summer course in Norway). Hope to see you in Budapest next time, Andrea!